While not exactly a close game, it was hard fought with US HTN Guidelines beating Hyperaldo Diagnosis. Not surprisingly, the athletes had an easy win after all their hard practice. 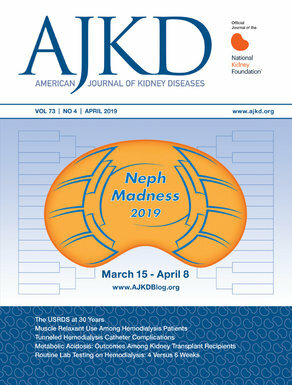 Athletes on Dialysis handily beats Substance-Associated Nephrotoxicity. Athletes on Dialysis wins 7-2. The crowd favorite, Lactated Ringers, lost big to Perioperative ACE-i with their tough defense and inability to miss a 3-point shot. With crowd favorite, Terlipressin, falling in the first round, Norepinephrine easily beats 4th seed Bile Casts:Incidental. This hard-fought battle between ANCA Vasculitis and Pre-Transplant went into overtime before team Pre-Transplant was able to pull away with team ANCA Vasculitis top scorer fouling out. The Complement Region has been one close game after another and this matchup was no different. C3-i and Beyond was able to win at a buzzer beater in regular time over Acquired C3GN.